Kidabaloo is proud to announce that Coy Stewart from Nickelodeon’s Bella and The Bulldogs will join the 2016 Kidabaloo tour in New Bedford, Massachusetts. Enjoy fun, games, and the Lazer Gate Inflatable Laser Tag Arena – free with admission! 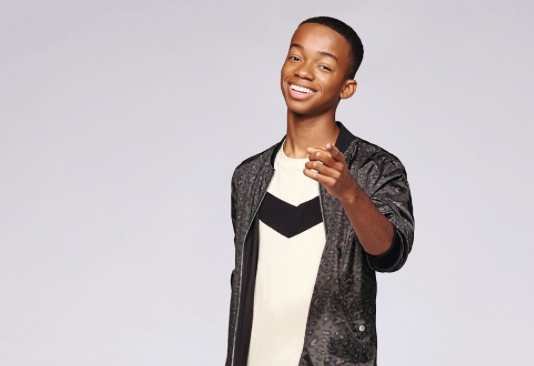 Coy Stewart returns as Troy Dixon for the second season of Nickelodeon’s hit series Bella and the Bulldogs. Coy has been a series regular on TBS’s hilarious sitcom Are We There Yet? And PBS’s educational show The Electric Company. He has also guest stared on A&E’s The Glades and Disney Channel’s Good Luck Charlie. Coy is passionate about composing music, he writes his own lyrics and blends spoken word poetry with rap. He spends his spare time giving back to his community and is especially active in anti-bullying charities. Coy comes from a very close family and is paving the way for his little brother who is also an aspiring actor. He currently resides with them in Los Angeles.